After a predictable (but not un-justifiable) moan about the arrival of mince pies on the supermarket shelves in October, the nights are finally drawing in, the John Lewis ad is on TV and I’m slowly starting to get into the festive spirit. 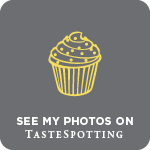 Have you seen how many blogs out there are groaning with amazing Thanksgiving recipes (happy Thanksgiving to all my American readers by the way)? Because wonderful as it all sounds, turkey and all the trimmings equate to one thing only in my excited British eyes: Christmas. One of my favourite things about Christmas is, unsurprisingly, the presents. I love the process of finding a gift that’s just right, of wrapping it up and placing it under the tree, the anticipation before it’s opened and the excitement once it is.It’s also an aspect I enjoy the least. I’m not talking about the giving and receiving of presents with those I know and love but those awkward extra presents, the socks and celebrity biographies and silly gadgets from ancient relatives and acquaintances, the things that leave you feeling slightly cynical about all that wasted money and wondering about the real value of giving in a celebration that has become so horribly commercialised. This may be your initial reaction to a recipe for brownies. 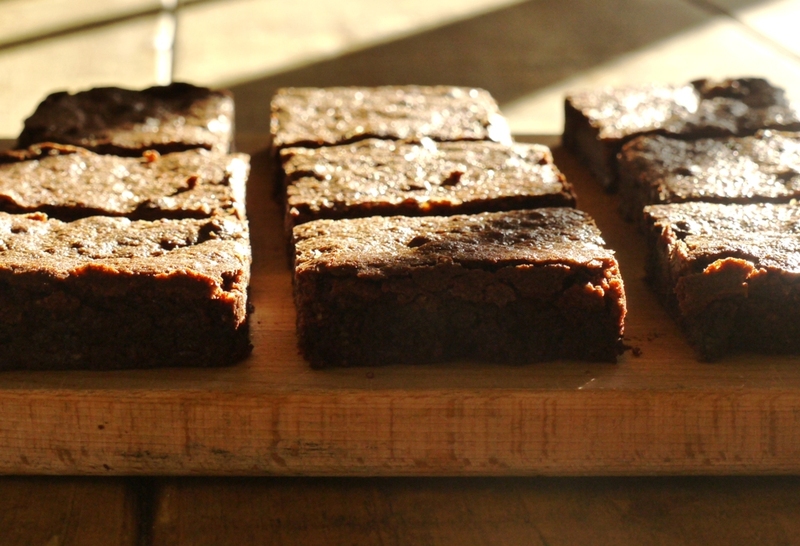 Like those unwanted socks and soaps, do you really need another brownie in your life? There are enough recipes for brownies on this blog alone to make a different one every day of the week (not something I’d recommend if you’re hoping to squeeze into that little black dress come Christmas party time), so why, exactly, am I posting another one? If you’re anything like me your answer may be simple: because it contains chocolate, it’s delicious and you can never have too many brownie recipes. But if you’re feeling a little more jaded and Scrooge-like, the answer is this: because it’s flourless and therefore gluten free. I’ve had several gluten free friends over for food recently and this recipe is great because it doesn’t feel like a substitution or poor imitation of the real thing. In fact the dense, fudgy richness imparted by the ground almonds might actually mean these brownies are superior to their floury counterparts.The recipe is Nigella’s, with just the tiniest of tweaks. In homage to her overindulgent ways in the kitchen, I served these with a giant scoop of salted caramel ice cream, rich with burnt sugar and flecked with fleur de sel. I may in fact have gone ever-so-slightly overboard on the salt, resulting in a seriously intense ice cream, but I’m pretty sure Nigella wouldn’t object. While you may not need another recipe for brownies in your life, I’m hoping that by now you want it. That you’ll try these slabs of dense deliciousness and share them with your friends, gluten free or otherwise. Wrapped in pretty paper and tied with a ribbon they might even make a lovely Christmas present. Better than another pair of unwanted socks anyway. Preheat the oven to 170 degrees C. Grease and line a 23cm square baking tin. Melt the chocolate and butter together in a heatproof bowl suspended over a pan of simmering water then set aside to cool slightly. In a separate bowl, beat together the sugar, eggs and vanilla then stir into the cooled chocolate mixture. Fold in the ground almonds then scrape into your prepared tin. Bake for 25 – 30 minutes minutes, until the top has set but the middle is still gooey and batter sticks to an inserted skewer (they will continue to cook after you remove them from the oven). Take the brownies out the oven and allow to cool completely before turning out and slicing into thick, squidgy slabs. 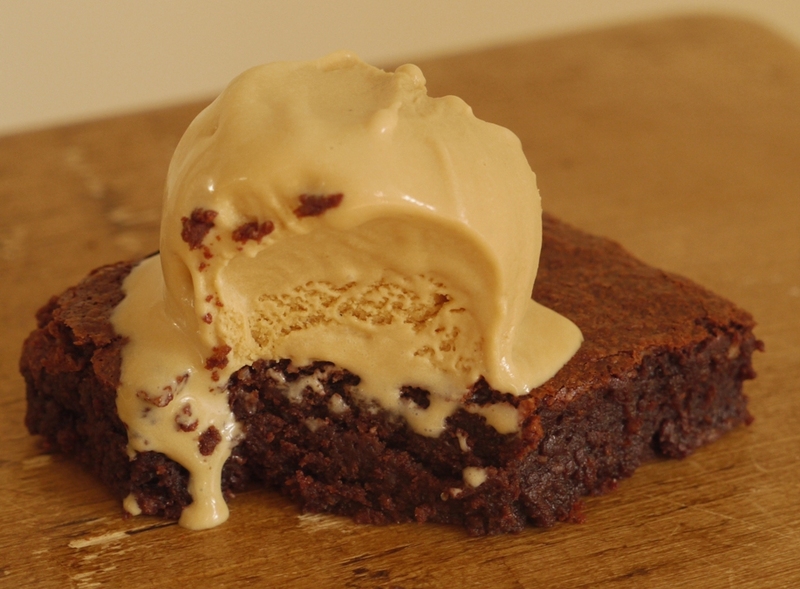 Serve with ice cream, preferably salted caramel (recipe here). These are my dad’s absolute favourite brownies in the world. I make them for him for pretty much every special occasion because he loves them so much and I’ve never been able to come up with a flourless brownie that competes on any level. Love the pictures of these too, especially the ones with the pretty winter sunlight streaming in. I love Nigella’s brownies. They are so easy and so perfect. And topping them with salted caramel ice cream, well they became even more perfect in my book! Sooo much better than socks, and the light in the photos make them even prettier. These brownies look soooo good!! Thanks for sharing this recipe, now I can bake it and serve to my friends who are gluten intolerant. yuumm!!! love the idea of the caramel icing – what a match made in heaven!! 🙂 sooo making these! Kathryn – it was such a beautiful morning when I took these pics. We ate the brownies after a barbecued leg of lamb cooked outside with my gluten free friend. Bliss. Jasline – my pleasure, enjoy! I’m always looking for more brownie recipes. Like you said, you can never have too many 🙂 These look spectacular, especially with the salted caramel ice cream! this is a melt in your mouth one… mmm.. Fantastic! 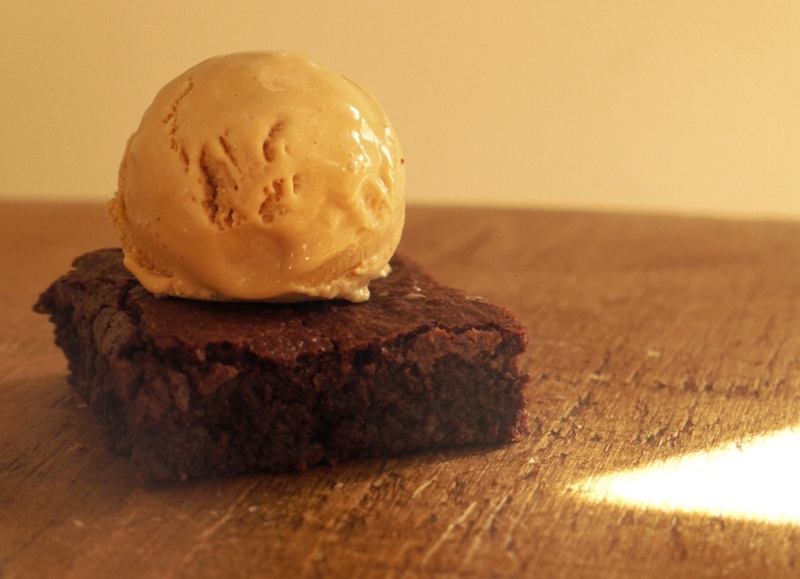 I love gluten free brownies, I have a very, very similar recipe on my blog and it is divine! I would take a great big tray of these over socks any day of the year! With more and more turning to gluten free living, thank you for posting this really yummy recipe. Glamorous Glutton – glad you agree! Frugal Feeding – I think pretty much everyone has a version of this recipe, it’s just wonderful. Big Hungry Gnomes – they freeze really well too so you could bake them in advance and get out over the festive period. Love that you subbed the flour with ground almonds, bet they are SO amazing! Wish I was on your Christmas list! Going to have to give these try, they sound wonderful. I’m all for substituting with almond flour. You can never try too many brownies. I could do with some of that salted caramel ice cream too. J’aime beaucoup votre blog, un vrai trésor ! merci pour cette superbe recette de brownie! bon dimanche, nadia. 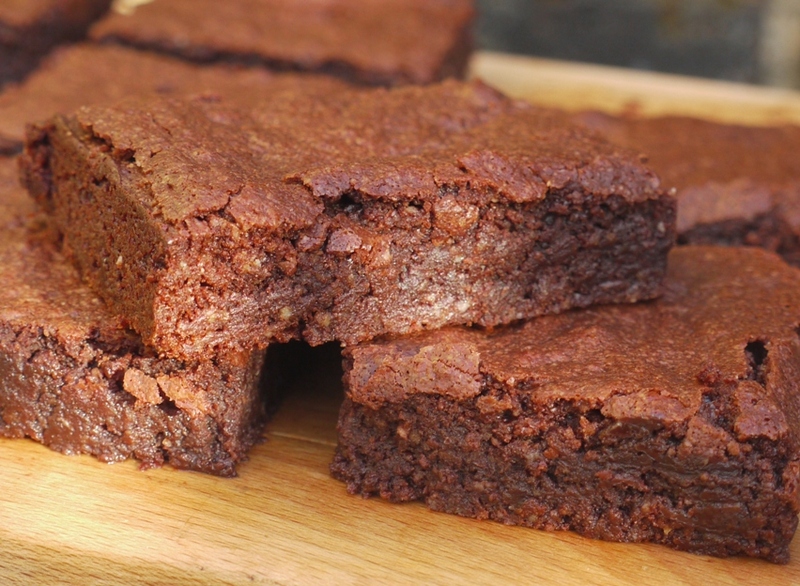 We all need more brownie recipes, especially ones with a twist and flourless is great, not only for glutenfree but for those who cut out flour for the Jewish Passover holidays. And replacing it with ground almonds is fabulous! I must try these. Although more than brownies I would call these a truffle cake! Happy holidays – without all the consumer hoopla! Sophie – let me know how you get on! Would love to hear what your favourite recipe at the moment is too! Urvashi – I’ve seen that in her new cookbook, looks fab. Nadia – mon plaisir, merci! Jamie – you learn something new every day, I didn’t know these would be suitable for Jewish passover! 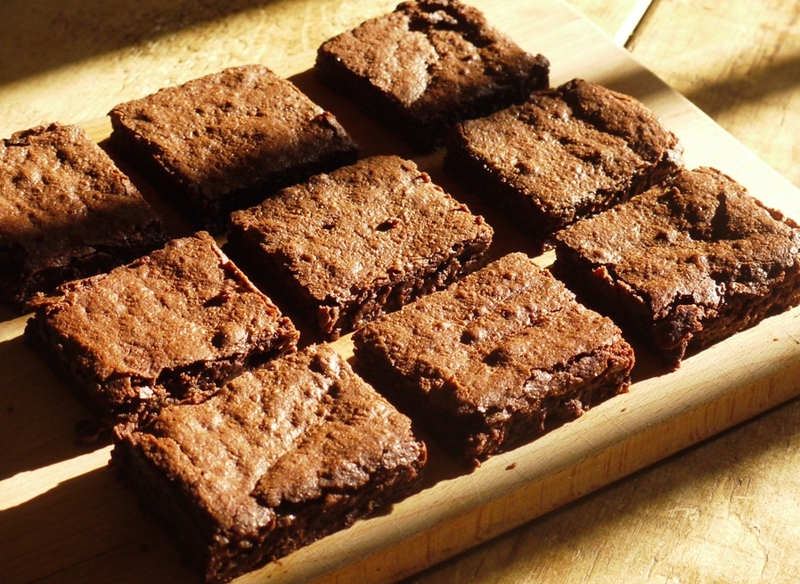 I ALWAYS need another Brownie recipe in my life, and these look especially fabulous. I saw this recipe on Nigella’s site and noticed a lot of people had a similar problem-the brownies were not cooked. I followed the recipe to the letter and decided to cook them for an extra 5 minutes. They felt and looked great with an inserted knife coming out with a little bit of sticky on it. Perfect right? Nope. They are a mess. Not a moist, fudgey mess but a “I am sooooo undercooked” mess. The taste is spectacular though. Although it’s 2 years later almost to the day since your comments: Yes I’d heard about these Gluten free brownies & realised they were in my Nigella cookbook. I had the same problems though – they didn’t cook properly & although like you, did everything as recipe exactly, they crumbled on outside of square but whole thing was a greasy mess that fell apart. So much butter I wondered if my recipe book was wrong ! It’s an expensive mistake with all the real chocolate, butter, walnuts & ground almonds etc. The top never dried just bubbled & with butter oozing ! Stunning recipe! All ready for my fabulous mum on Mother’s Day this Sunday. I added pecans too. I only baked mine (fan oven 170.. so possibly a little hotter?) for 25 minutes. Will let you know the verdict soon! Thanks for posting. Aw, so pleased you like them!